If you analyze the average Canadian investment portfolio today, you’ll likely notice a very large portion dedicated to only a handful of Canadian banks and financial services companies. Over time, you’d also notice that those companies’ share prices tend to rise and fall together. In other words, Canadians’ exposure to financials tends to be concentrated rather than diversified, despite the fact that globally, the financials sector offers over 1500 companies and 15 sub-sectors worth over US$13 trillion. In 2009, we founded Hamilton Capital because we believe that Canadians – and their financial advisors – can get a lot more from the financials in their portfolios. With a team of experts focused solely on the financials sector, we identify themes and opportunities across the globe’s best economies, often beyond Canada’s borders. Opportunities that can help Canadians diversify their financials and accomplish their investment goals. After successfully managing private pooled funds for accredited investors, in 2016 we launched our first ETF (exchange traded fund), designed to help Canadians take advantage of a broader and more diversified set of opportunities. Our mission remains simple and focused: to help Canadians get more out of the financials in their portfolio. In 2015, New York theatregoers found themselves scrambling for tickets to Broadway’s most improbable smash hit in decades: a hip-hop musical about an economic policy theorist who lived over two centuries ago: Alexander Hamilton, the first Secretary of the Treasury of the United States, and one of the foremost architects of modern banking and credit. 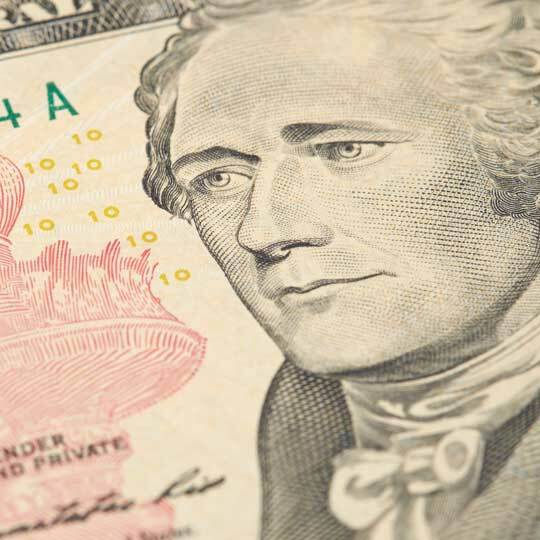 After the Revolutionary War left the new United States financially crippled, Hamilton set to creating a framework for rebuilding the nation’s economy. Key among his proposals was the need for a national bank; Hamilton believed banks were the “nurseries of national wealth”. As Secretary, he opened the controversial and innovative first Bank of the United States; and while that first iteration only survived twenty years, much of his thinking lives on, and remains central to the Federal Reserve System alive-and-well today. Hamilton also founded the Bank of New York — now known as BNY Mellon — the oldest company in the Fortune 500 today.